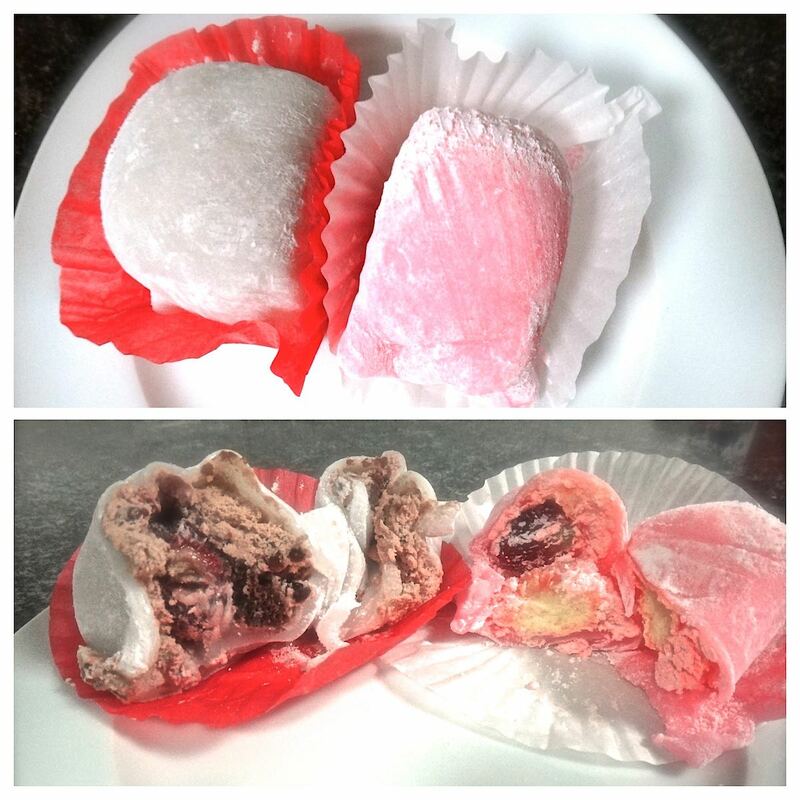 Also called mochi, daifuku is actually a Japanese dessert quite popular in Taiwan. It looks like a big marshmallow, with a much softer texture that melts in your mouth. The outside is made of sticky rice dough. 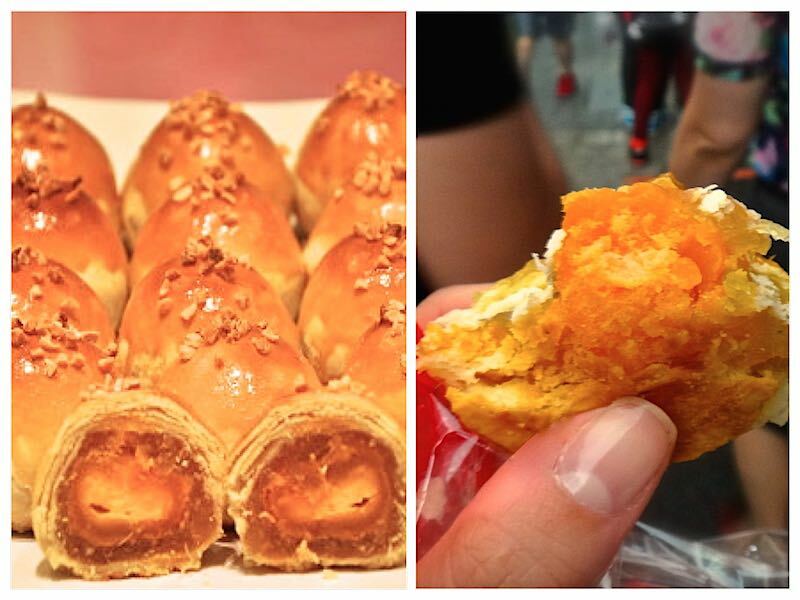 Inside you find surprisingly delicious fillings: fruits, mainly strawberries, with cream, cake or red bean paste. It’s an Asian version of a Kinder Surprise Egg because, like Forest Gump said about life — you definitely never know what you’re going to get. 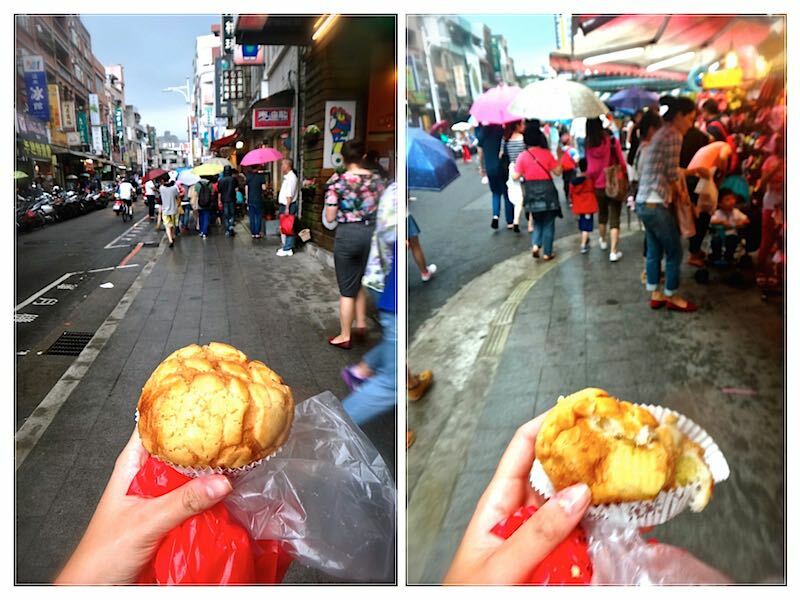 Pineapple cake is one of Taiwan´s signature food. It’s even better with a salty boiled egg yolk added to it? My favorite “sweet and salty” combination ever. Bubble milk tea or pearl milk tea is a Taiwanese drink invented in the 1980s by tea-stand owner, Lin Hsiu. Lin came up with the idea of adding boiled tapioca starch balls/pearls to the milk tea so people could drink and chew at the same time. 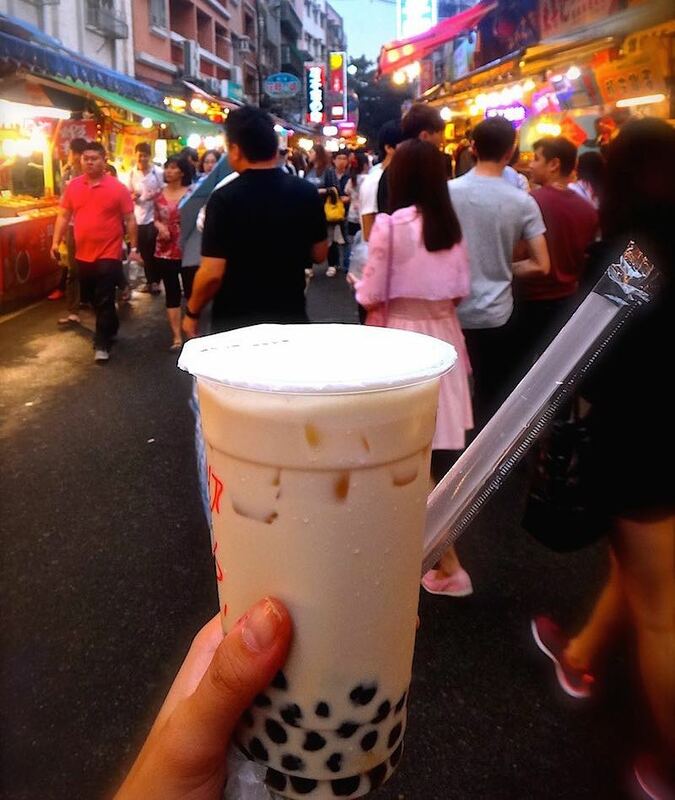 Apart from making a delicious combination, the tapioca pearls make the drinking process funnier, since you´re always wondering when the next pearl will come up in your straw while sipping the milk tea. 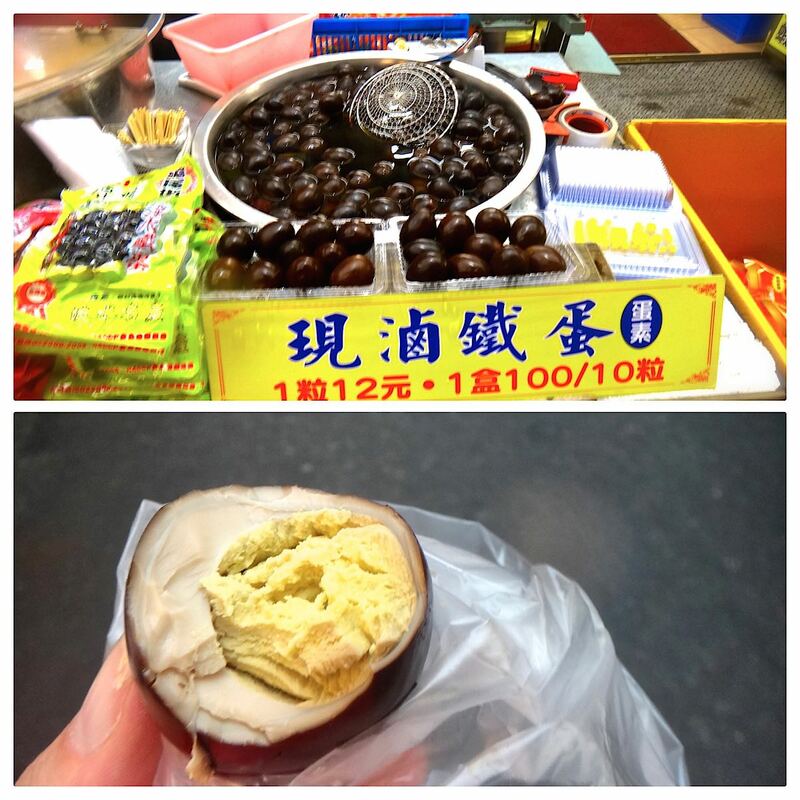 Iron eggs are a Taiwanese delicacy, from Tamsui District, New Taipei City. They are a chewy black egg, a common street food made of chicken, pigeon or quail eggs, cooked and re-cooked many times in tea or soy sauce with herbs and spices. 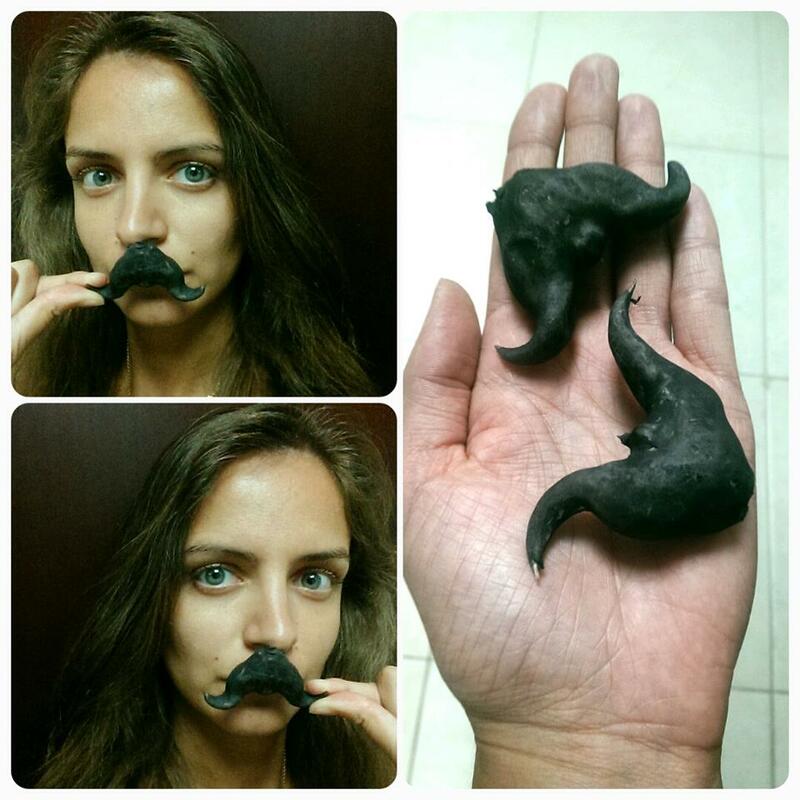 They shrink and harden due to the multiple cooking times. In ancient times, these eggs were cooked in horse urine. Wonton are a kind of dumpling used in infinite ways in Chinese cuisine. The word itself means, “eating a cloud,” maybe because wontons do look like clouds when floating in the soup. They are made from thin dough wrapped around meat, shrimp or vegetables filling, then boiled in a broth base that has been mixed blended with salt, spices, green onions, egg, bits of pork, etc. 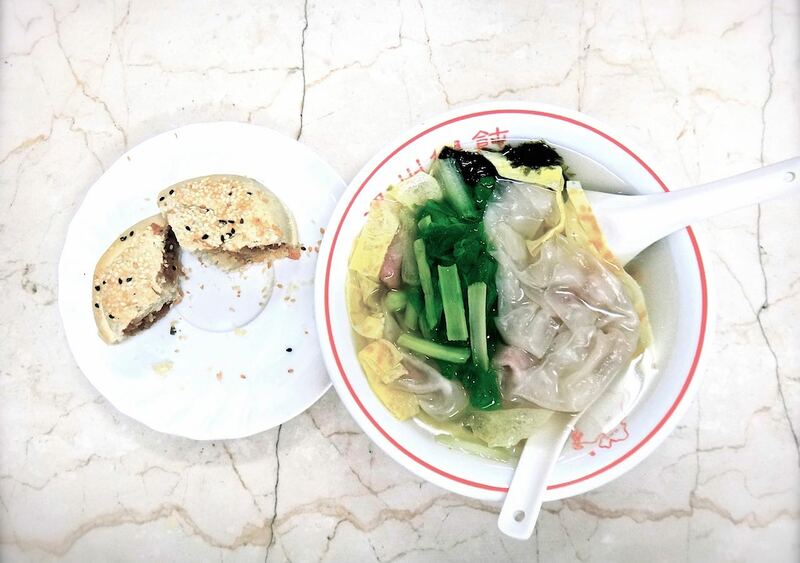 Along with Wonton soup, radish or onion buns are a must. 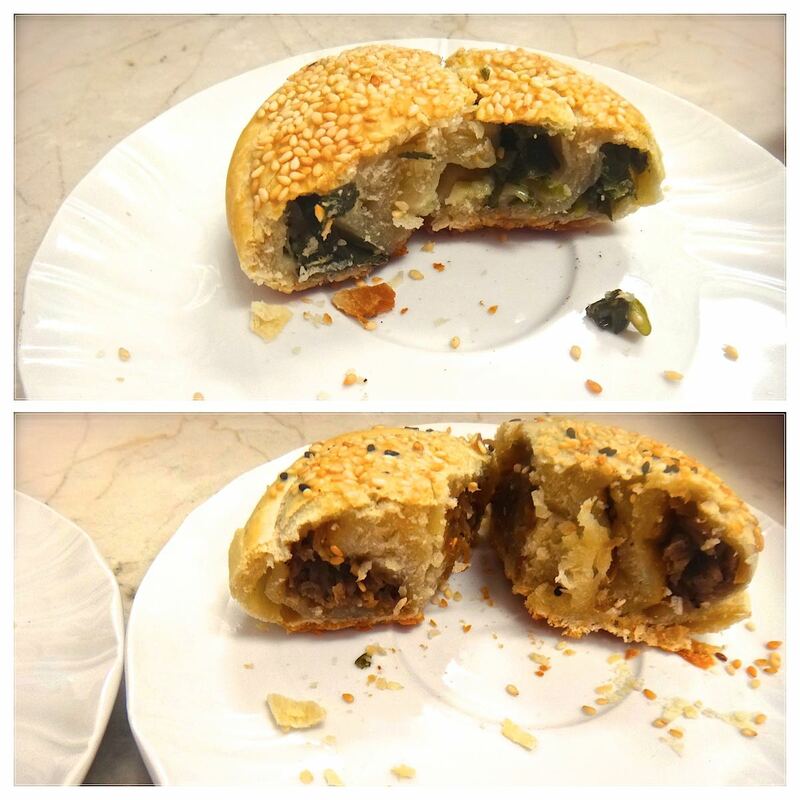 They are simply buns topped with a crust of sesame seeds, filled with braised onions or radish. They also make a fantastic snack. Bolo bread is a Taiwanese invention with several versions throughout China and Japan. It is also called melon or pineapple bread/bun, not because it has any filling with those fruits but because the crispy and square patterns on the top make the pastry look like a melon or a pineapple. The taste like a muffin and a croissant combined together: with the the shape of a big muffin but crunchy on the outside and softly crispy in the inside. And they are filled with sweet milk. Water chestnuts, also called water caltrop, buffalo nut or bat nut are simply chestnuts with a very peculiar shape. I call them “moustache nuts”, because they remind me of a moustache. I glimpsed them on a stand at the Night Market, while they were being steamed, and bought half dozen. They are similar in texture to the chestnuts I used to eat in Portugal in wintertime. 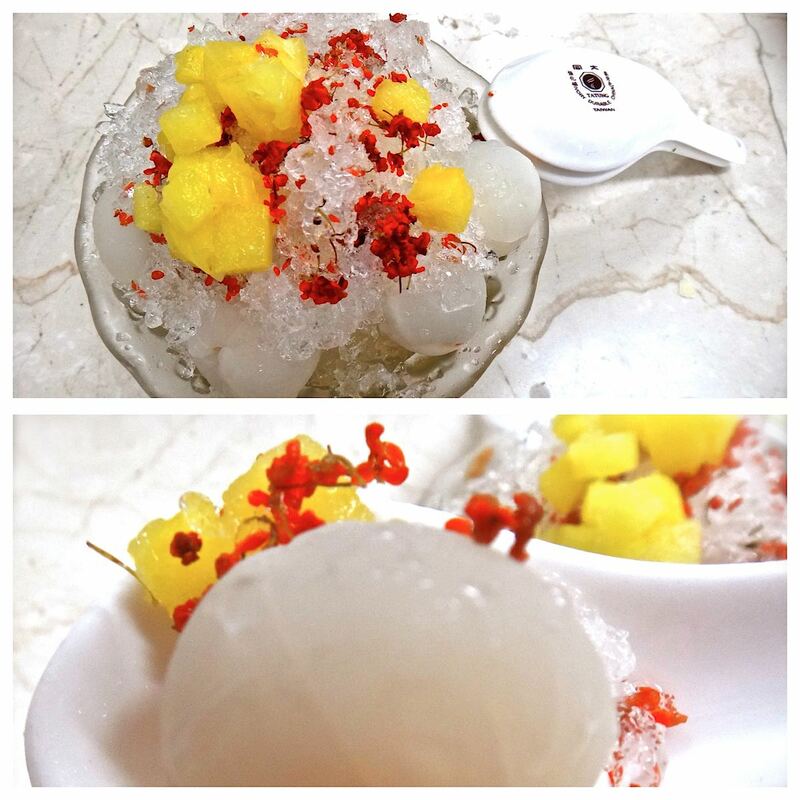 Shaved snow is a mixture of ice cream infused with flavors — green tea, mango, vanilla, etc. — frozen into hard cylinder blocks. These cylinders are then “shaved” in a spinning machine. The result is a soft flaky texture, which is combined with fruits and several toppings. I’ve tried green tea with black bean topping and shaved ice with lychee, pineapple and osmatos tea, as well as vanilla with mango and vanilla with passion fruit topping. It’s like a rush of cold magically flavored air in the mouth.